My Weird Indy Publishing Project: Recovery from Crisis! After a two Cosmic Thumps, I realized I couldn’t stay with my original plan when I started My Weird Indy Publishing Project: write and publish a book every 3 months. I couldn’t even write a full-length memoir (50,000 words) every three months much less write and publish! I had totally forgotten that Book 1 took 4 months to write, another 5 weeks to edit, rewrite, get book cover, etc. to publish! I had been dragging my heels completing Book 2 and couldn’t understand why. Then Cosmic Thump#1 got my attention with a personal incident. It forced me to face that I had forgotten WHY I am writing this series! Cosmic Thump#2 showed up in the planning process of creating my Draft to Launch plan, including deadlines. I didn’t sleep much. Clearly, I had to do something else. I could publish SURRENDER as two Short Reads! I’d already drafted those segments in Book 2, the big book version, and only had to choose which one I wanted to do first, and then re-write it to make it viable for the stand-alone short read. 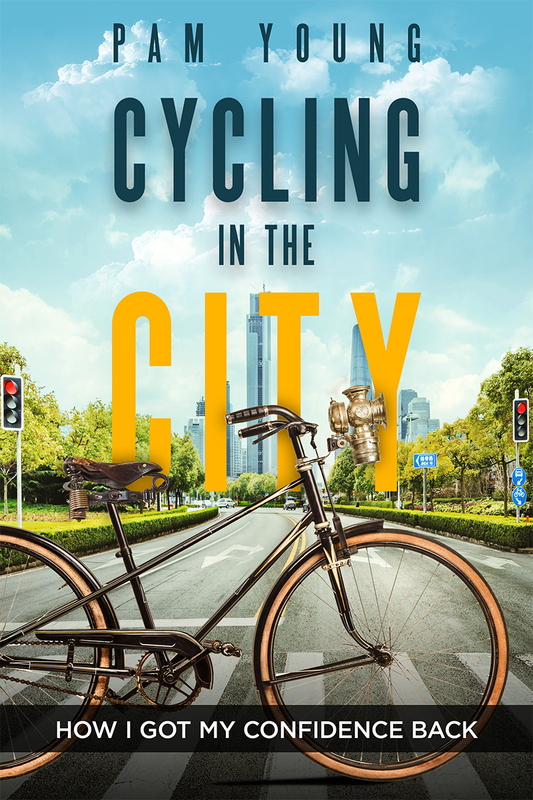 I chose the cycling story because it appears first and is the first big turn-around I experienced in my recovery from extreme burnout. I also chose it because cycling is big where I live. But the teacher in me chose it because the information in this little Short Read might be helpful to someone in a similar situation, someone who is experiencing “lost confidence, lost self-esteem”. I believe the content would be helpful to such a person whether or not they wanted to ride a bike. And helping someone else is the big WHY for writing a memoir. WHAT is a SHORT READ? People like SHORT READS because they know in advance how long they are. For example, if the receptionist told me I had a twenty-minute wait, I might consider buying a 15-minute short read to wolf on my Kindle. This is probably a good time to mention that if you publish a work as a Short Read, it’s a good practice to “call it like it is” for potential readers. If you’ve written a fiction short story, then say so; if your book is actually a novella, not a novel, then say so. You can do it either in the title or the description. Amazon.com > Kindle eBooks > Popular Features > Short Reads. As soon as I made that decision, to publish a Short read on deadline instead of a full-length book, the Universe provided marketing information! It was the answer to a prayer. I knew very little about Short Reads and learned what I needed to know in one afternoon — including which categories to use in publishing! This past week was a blaze. The story was written, edited by Robert Armstrong, and re-written. It got a clever cover by Nathaniel Dasco. And it’s currently being formatted for Kindle, Smashwords, and Draft2Digital by Glenn Bontrager who uses In-Design to format the book, and then creates the eBook versions for each venue. They are the same guys who did BURNOUT — How a Desert Lizard Restored My Faith. Book 2, SURRENDER, is in the works. I don’t know yet whether it will be a “2-hour” Short Read, or a full-length memoir (50,000 words) or something in between. At this point, it could go either way. This entry was posted in eBooks, writing and tagged indie author, indie authors, indie publishing, memoir, personal journey, self-publishing. Bookmark the permalink. Are you trying to start a publishing house or magazine? I’d love to know more. Feel free to contact us anytime. I’m just another Indy author. Thanks for stopping by.